Criminal Law: If you have been arrested for, or charged with, a crime you are facing the possibility of jail-time, probation, steep fines, court costs and a lifelong criminal record. Depending on the charge, you could also face license suspension, irrevocable damage to your reputation and the removal from your home of minor children. 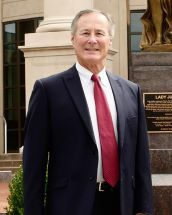 Attorney Teiger has handled felony and misdemeanor cases before many courts in the Atlanta metropolitan area and, as a former federal investigator, is knowledgeable of the statutes and procedures that will be determinative to the outcome of your case. Family Law: Family legal issues have serious implications for every party and child involved. Whether you are facing a divorce, custody dispute, or need assistance with a Juvenile Court matter, it is necessary that you work with an attorney skilled in family law. We are dedicated to protecting the rights of individuals, families and children. If you have an existing child support or custody order, we can assist you in obtaining a modification, or filing contempt charges if payments are not being made. Tracy Teiger is experienced in asserting the rights of clients seeking to enforce and modify existing orders. Wills, Trusts, Estates and Probate: Regardless of whether your assets are modest or extensive, you need to make intelligent choices about passing your wealth on to loved ones. You should consider carefully to whom your property will be distributed, how and when; how end-of-life care decisions will be made for you; and who will act on your behalf in transactional matters if you cannot. You want your estate plan to meet the many requirements of the law, and you want it delivered cost effectively. Tracy Teiger has over 20 years of experience that he will use in providing knowledgeable advice, skillful representation and cost-effective service with a personal touch. Business Law: Hiring the right lawyer to handle your business needs is vitally important. An inexperienced attorney could actually harm your business. Improperly drafted contracts could expose you to personal liability for business debts, cost your business profits, or be unenforceable in court. Having a skilled counselor on your side from the beginning gives you the freedom to focus on day-to-day operations and remain confident that your valuable legal rights are being protected. Tracy Teiger understands from the perspective of a small business owner the importance of operating in a cost-conscious environment and resolving matters expeditiously and efficiently. Elder Law: As part of estate planning, powers of attorney and health care directives, protect your interests in the event that you are unable to represent yourself. These documents, as well as wills and trusts, clearly and legally state your wishes regarding caregiver/guardianship directives, end of life issues and the distribution of assets. The Teiger Law Center has more than 20 years of experience in dealing with the delicate balance of ensuring our aging clients' rights and well being. We will aggressively protect your rights when needed and will step in to guide your appointed caregiver if the need for one arises.